De plus, nous fournissons les draps et les serviettes de toilette. L'appartement est tel qu'il est decrit spacieu agreable tres propre. L'appartement est très bien situé, bien équipé et tout est tel que décrit dans l'annonce. L'environnement est agréable , sécuritaire et les transports sont à proximité. Madame Durand nous a accueilli très chaleureusement et nous a donné plein d'informations utiles. En résumé, nous avons passé un super séjour à Paris et nous recommandons ce lieu sans aucune réserve . Merci encore Madame Durand! Lovely apartment in a terrific location. We had a terrific stay in Paris. The apartment is very roomy and had everything we needed. The location is fantastic, close to everything but not in a tourist area. Phipippe was very helpful and accommodating. We arrived late and he even had some food in the refrigerator. We would definitely recommend the apartment. The bedroom shower did not drain properly but we shared that information when we left. There is a second shower so it was not a problem. The best location in Paris!!! I stayed in this beautiful apartment in July (2015) and loved it. My wife, daughter and me stayed there for a week and will never stay anywhere else in Paris. Monsieur Durand made our stay very comfortable and answer d all of our questions. 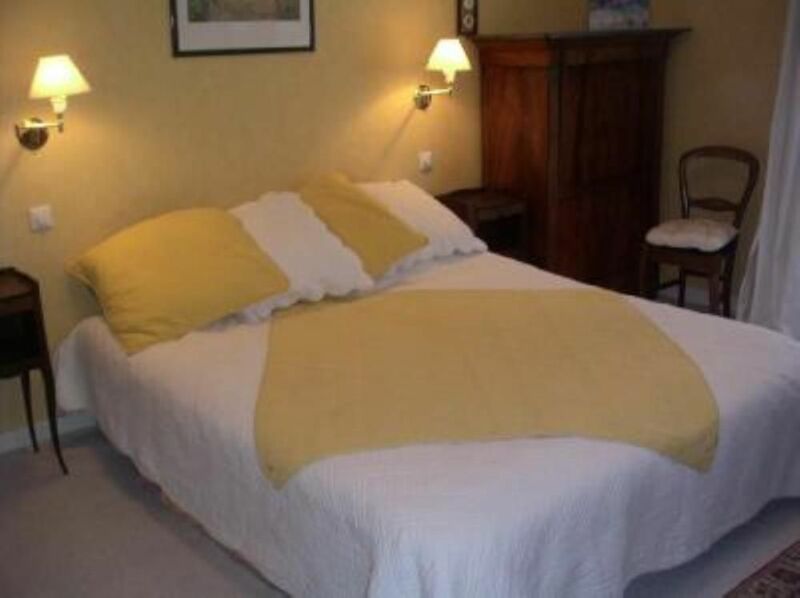 5 minutes from the Champs Elyses and very, very safe apt any time of the day or night. Restaurants all over and great bakeries a block away. Do not hesitate in renting this beautiful 2 bedroom very luxurious apartment. The epitome of a Parisian apartment. Much more than I expected!! OMG! Where do I start? This was the third VRBO during the 2.5 weeks of our holiday. And our absolute FAVORITE!! When you first walk into the neighborhood, its beautiful. The building in which the apartments sits is also beautiful. The apartment (in a secure building) is on floor 4 once you get into the elevator, however you walk up a full flight of stairs to the elevator. The elevator is small, 2 people and your thoughts are about all it holds, but that's all part of the adventure, right? To say the least, we were ecstatic when we saw the inside of the apartment!! Sadly, we never got to meet our host. We arrived 2 hours later than we had planned. Since we couldn’t get on wi-fi in Nice, we were unable to reach Mr. Durand until we were on the train back to Paris. He was very accommodating and understanding and made arrangements for us to get the keys. The stand-up shower, water pressure was a little weak. And sadly, the dryer (not a separate tumble dryer) in the washing/drying machine was not working. There is a drying rack, which hangs over the tub. There is a guest information book, in the dining room. This room was a bonus since there are no pictures of it in the listing. It seats 6 persons for dinner and includes a fireplace. The guest book includes valuable information regarding the apartment/and phone numbers to reach him. He also left a nice supply of bread, butter, milk, eggs, coffee, and some bottled water for us. The kitchen was well stocked, and included basics like salt, pepper, and oil. This was a very nice touch, since the shops were closed when we finally arrived at the apartment. There is a long, wide hallway when you enter, a bathroom on the right, the 1st bdrm is on the right, the kitchen is on the left.. a little further down the hallway is the dining room on the right, then the toilet is on the left, just before you walk straight into the the 2nd bedroom, on the right is the living room. We kept the doors/windows open most if not all the time and you could hear the street noise, but once the windows were closed, almost silence. I’m sure there are hundreds of Airbnb’s, VRBO’s, condos, short term rentals available but this lodging, allowed us to be in a safe neighborhood and enjoy all it had to offer: close to metro, tabac shop, dining, shops, services, the experience, the value, the home like atmosphere, the quaint neighborhood, I would HIGHLY recommend this beautiful apartment. It has a very “Parisian” feel. It was perfect! Perfekt lägenhet i perfekt läge! Lägenheten ligger vid både en metronedgång och en busshållplats och bara 100 meter från bageri, ostbutik,slakteributik och en delikatessbutik liksom både caf’e och restauranger. Lägenheten är stor och mycket funktionell med wi-fi och snabb uppkoppling. Phillipe Durand var en mycket välkomnande värd, som fyllt kyl och skafferi med en del startvaror. Vi skulle gärna komma tillbaka till denna oas. Tous les moyens de transport se trouvent juste au pied de l’immeuble : métro, bus, taxis, location bicyclettes(Vélib). La station de métro Courcelles (ligne 2) est juste en face de l'immeuble. Les bus n° 30 et n° 84 s’arrêtent à 20 mètres. Vous trouverez des garages/parkings à proximité (rue de Courcelles) si vous vous déplacez en voiture. Pour rejoindre les aéroports, empruntez les bus Orly-bus et Roissy-bus qui s’arrêtent place Charles-de-Gaulle (2 stations de métro via ligne 2) ou 1 200 mètres à pied. Deux rues piétonnes et commerçantes parmi les plus connues et typiques de Paris se trouvent à proximité : les rues Poncelet et de Lévis. Vous bénéficierez des facilités du centre-ville de Paris, des innombrables restaurants:en particulier avenue de Wagram ou avenue des Ternes (500m), plus typiques vers le quartier des Batignolles 8mn en bus(début des quartiers 'Pigalle et Montmartre), des cinémas sur les Champs-Élysées, des musées… Pour les enfants, une aire de jeux et des manèges au parc Monceau (entrée à 100 m.). Je fournis un livre donnant des conseils et de bonnes adresses.